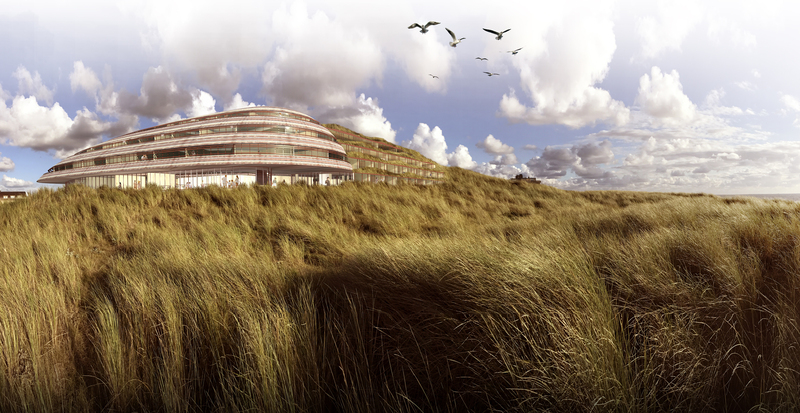 Natrufied architecture was invited to participate in a competition for a new hotel in Bergen aan zee. 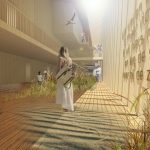 We congratulate Search architects for winning the competition, however we are very proud at our proposal and want to share this as well. 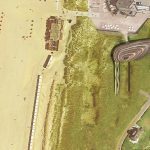 The current Nassau hotel was built in the 1950s on top of the dunes and will be replaced with a new hotel and apartments. 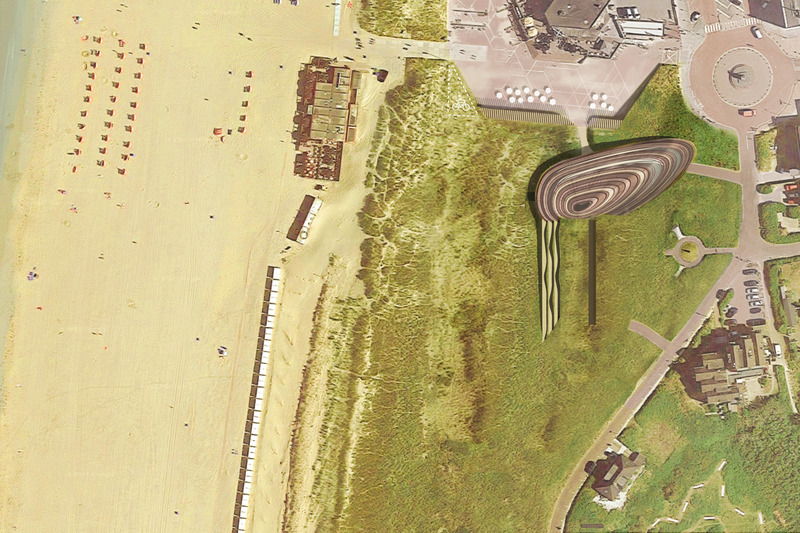 Our proposal consists of parking and 20 apartments that are integrated into the dunes. In this way, from the village as well as from the dunes, only a big dune is visible. 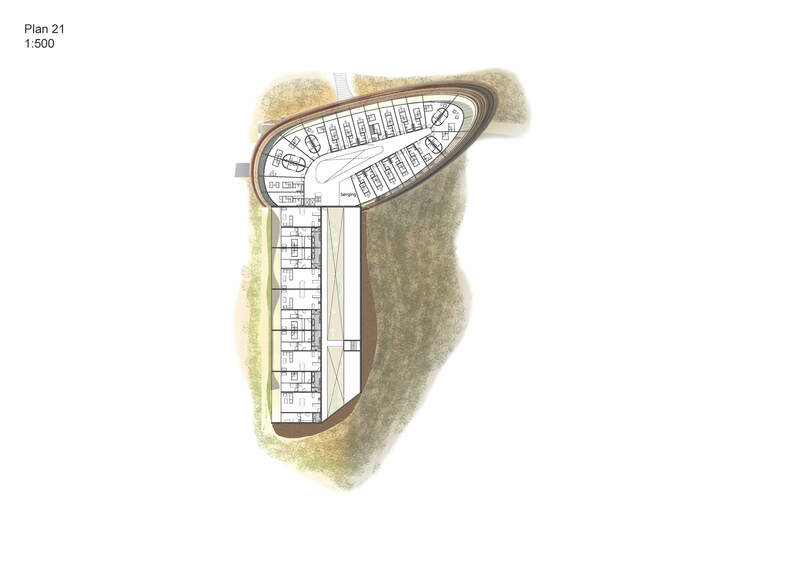 All apartments provide a spectacular view towards the sea overlooking the first row of dunes. The local beach provided the idea for the hotel: a small shell in red and beige stripes was used as the keyframe for the concept. 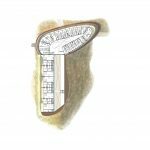 The shell shape not only provides an obvious shape for not fighting the wind but rather guiding it, but also allows maximum sun onto the adjacent square and makes a gentle impact on the little village because of the sloping façade. Of course it fits also naturally in the sand on the dune. 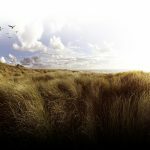 The entrance of the hotel is at the top of the current dune, so visitors not only experience the dunes but also the sea upon arrival. 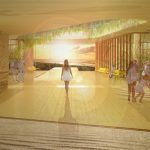 The foyer provides a clear view through the hotel towards the sea, the orange sunset will bring its warm color to all spaces of the lobby. The 60 rooms all have balconies and sea or dune view to experience to a maximum this exceptional site. The slate and wood material for the façade suits the brutal salty sea climate as well as the tones of the surrounding. 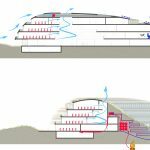 In the new dune on top of the apartments, a tube system provides heat storage for the sustainable generated energy by wind and sun.